Yesterday, the new lineup of the Russian group, Third Breath, gave a musical concert (we rehearsed for about a month) with my participation and today I returned to Avengerland. 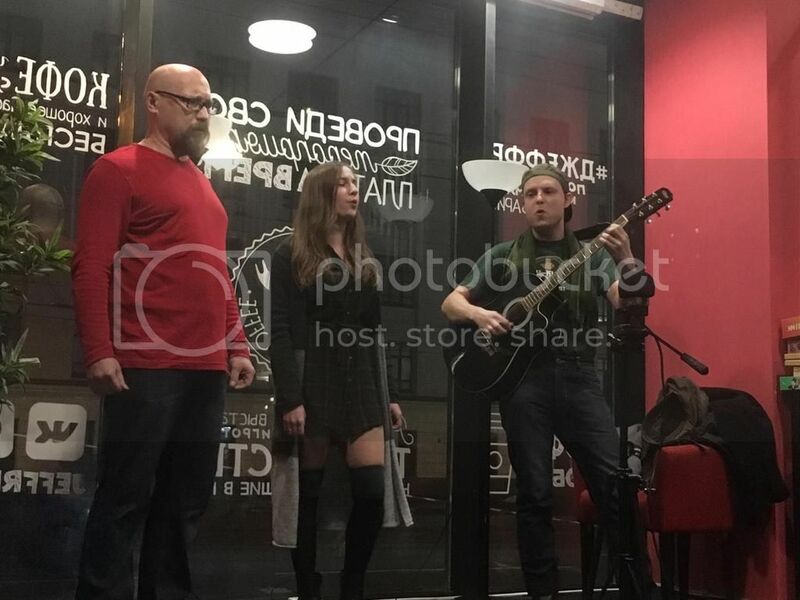 It's funny that the organizer of the event made the price of 500 rubles (6,67 eur) for everyone only for attending this concert (usually it is two times cheaper for this kind of folk concerts), as if we were famous club musicians. As a result, we came under a very big responsibility, especially when critic Andrei Shemyakin did visit. New page on Steedumbrella: TV premieres in Socialist Republic of Croatia. Managed to calculate four episodes from color Emma Peel episodes. By the way, Alexey Sidorov, one of the co-founders of Steedumbrella, was at this event and witnessed how one of those present suddenly began to tell the public that I am an Avengers fan and after, to advertise me in this field. At that moment I was about to leave the event temporarily so that someone from the public would not question me in this area (well, it was a musical event, and the Avengers theme was out of place at all), but everyone present was perplexedly listening to it, and as I understood no one was interested in finding out the details of what was going on. So I sighed with relief and continued talking to people about the music. 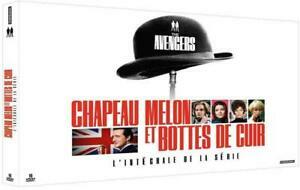 Today I started working on the webpage DVD box: Chapeau melon et bottes de cuir - L'intégrale de la Série. The navigation bar of the main menu for French DVDs has changed. I renamed some buttons and added a new one. Moreover, the pages of the French DVD editions of 2015 changed the address. I will regularly inform here about the publications in the mentioned section in the course of updates. Posted the material of the second series (season) of the French DVD Box (2017). When clicking on the box images of the second volume and its contents - original scans will opened. Screenshots of the second season's menu from 2002 French DVDs are posted. From now, when clicking on the mentioned screenshots on the page by link below - originals will opened. Before each episode there is a color intro "StudioCanal" company, and at the end of the episode (with the exception of the episodes Decapod and The Mauritius Penny) the logo of the film company "Weintraub Entertainment Group". Today I start work on a new page "Australian DVD box of The Avengers (Series 4) 2016" on Steedumbrella. The page "Australian DVD box (2016)" is formed into a section now. Brian Clemens and Roy Ward Baker commentaries to the episode The Town of No Return on the Madman DVD set are present. This is a kind of "Easter Egg". You can to select it only when playing the mentioned episode. Today I come back to work on the Avengers episode guide. On my list, work for an episode "Dead Man's Treasure" now. Wow, found a rare postcard with Patrick Macnee in one French online shop. Publisher: CIBA Photochemie (Switzerland). This is the only Swiss postcard on The Avengers I've ever seen. Surprise! In connection with this discovery, I posted a new page on Steedumbrella. If you wish to see the original scans of this postcard on page by link above, click on the images.